III – I can Login Qnap when I directly Plug in to my Laptop, but when I plug Qnap to our Network, I cannot Login Qnap anymore. IV – Qnapfinder can find Qnap, but Qnap firmware seems different? 3 – Use different Web Browser. / clean Cookies of you Browser. For IP possable conflict, Plug out Qnap’s ethernt cable from your swith, open command (windows -> start, then typ “cmd”) and type “ping 169.254.100.100″ (or whatever is your Qnap ip). If this command gives reply, Plug Qnap another computer and change Ip adress which doesnt exist in your network. 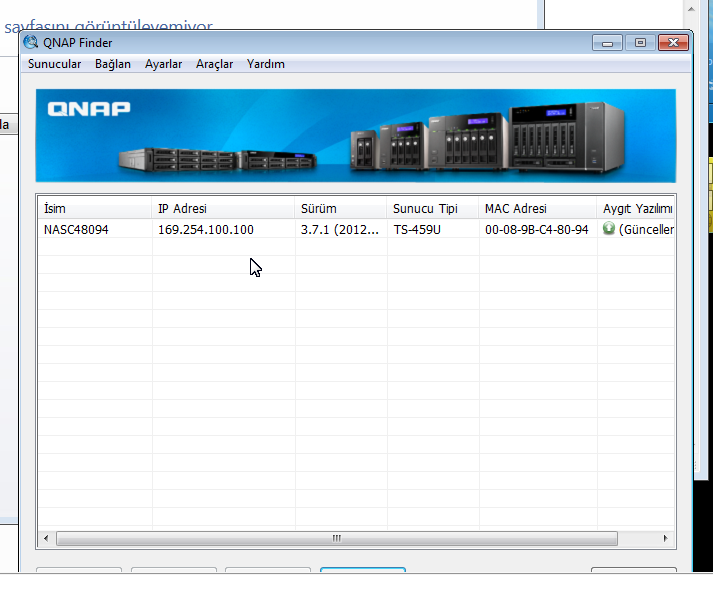 Some device in network may not be reply your ping, so change Qnap Ip adress for this possability. If you take reply like in this screenshot, DONT GİVE THİS IP TO QNAP. Generally a new mainboard spare part comes with this firmware. To identify what cause this problem, simply shut down Qnap, Plug out HDD’s, and open Qnap back again. Try to press reset button more than 15 seconds and check if problem still exist. If it doesnt work, contact with Qnapsupport Taiwan. b – If after restarting device without HDD, your firmware still seems like this, start installation from first time. when Qnap request to show firmware, use 3.5.1 or down below firmware version. Installing fimrware may take more than 30 minutes, so wait patiently and dont close Qnap at this process. If problem still continue, Please check my “Firmware Reflash Document” to solve this issue. If you didnt do this, simply plug out second lan port to make Qnap reachable again.